At the end of Arrow‘s fourth season, the team went their separate ways, and Oliver Queen was left to tackle Star City’s criminals by himself. However, the first major casting addition to season five of The CW series points to the hero having some backup in the form of a new vigilante when the show returns. We’re referring to a relatively obscure DC Comics character known as Wild Dog. Introduced in a short-lived series in the late 1980s, Wild Dog was a former star athlete and Marine who turned to vigilantism when his girlfriend was murdered because of her secret ties to the mob. 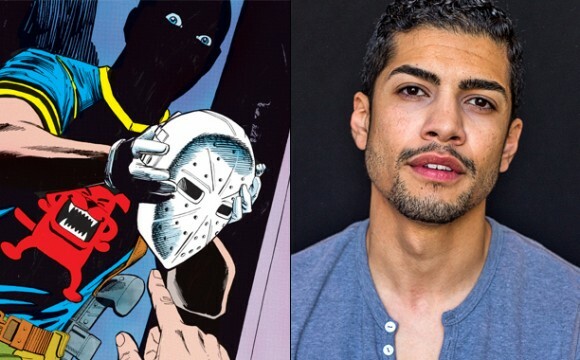 How much of that backstory Arrow will keep remains to be seen, but we do know that he’ll be played by Rick Gonzalez (Mr. Robot, Reaper). The official description for the small screen version of Wild Dog reveals that he is, “a new vigilante in Star City whose reckless and cocksure nature prompts Green Arrow (Stephen Amell) to take him under his wing.” That actually sounds fairly similar to what happened when Oliver decided to train Roy Harper as Arsenal, so it’s now going to be interesting to see how this relationship ends up being different to that one. After the very mixed response to season four, it’s pretty clear that Arrow needs to up its game, especially with the likes of Supergirl and The Flash also on the network. With any luck, the addition of Wild Dog will help freshen things up for the series.